This Imperial IPA tops in at 8.4% abv, and claims a heavy hop bitterness. Aroma: Strong malty aroma without much hops on the front. It claims 75 IBU’s, but the aroma doesn’t give that away. A slight grapy aroma comes to the nose. Appearance: Deep amber or dark honey in color. Light, effervescent carbonation shows well. The head is light tan, with small bubbles, and a rocky top that sticks around for the drink. Flavor: Very malty without much bitterness. This beer may be balanced, but does not hold the hoppiness of any real IPA. However, that being said, if we ignore that it is supposed to be an IPA, the brew tastes very good with strong malt flavors, balanced hoppiness, and edges of straw, honey, and grape. Mouthfeel: This is a very heavy brew. Despite the visible bubbles, it kind of falls flat on the tongue. 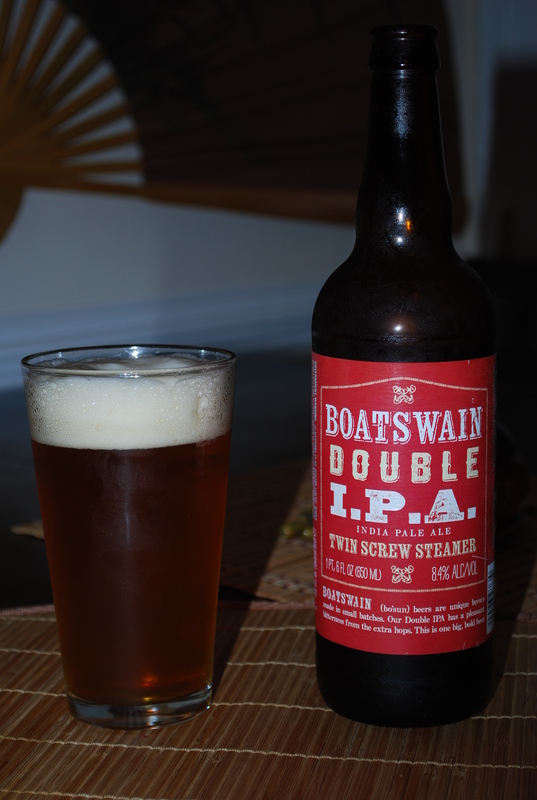 Overall Impression: As we said, this does not seem to be a successful Double IPA, however, the beer itself is very tasty. We paired this with a wonderful plate of Lazyman’s Fra Diavlo. 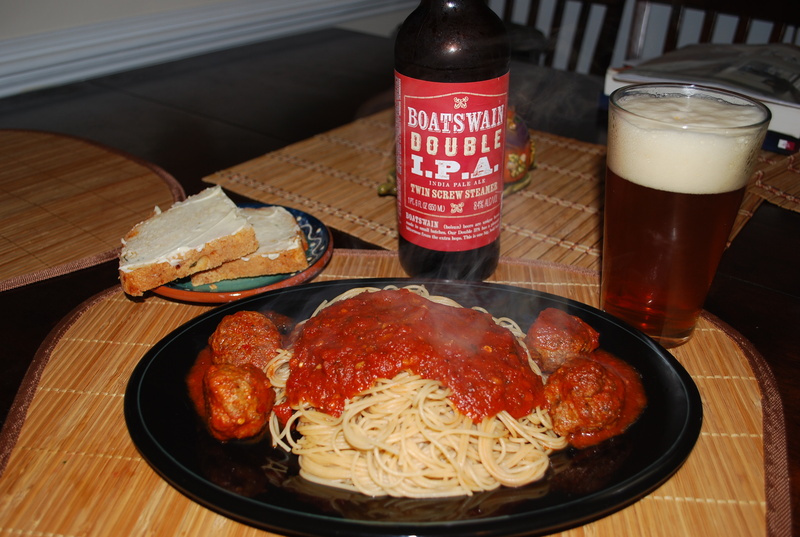 The beer works as an IPA would in this respect, helping to lift the spicy pepper oils off the tongue and beg another bite.